In this article, I will show you how to (a) compile and install Samba, (b) create a domain environment with Samba, (c) add users and groups to this domain and (d) get Percona Server to use these accounts for authentication via LDAP. In my follow-up article, I will discuss how to get MySQL to authenticate credentials with Active Directory. We will install an NTP client on the Samba PDC/samba-10.example.com machine because time synchronization is a requirement for domain authentication. We will also compile and install Samba from source because the Samba implementation in the official repository doesn’t include the Active Directory Domain Controller role. Hence, samba-tool is not included in the official repository. For our testbed, we need this tool because it makes it easier to provision a domain and manage users and groups. So, for CentOS 7, you can either build from source or use a trusted 3rd party build of Samba (as discussed in Samba’s wiki). For more information, please read Setting up Samba as an Active Directory Domain Controller as well. [root@samba-10 ~]# yum -y install gcc perl python-devel gnutls-devel libacl-devel openldap-devel * * * Installed: gcc.x86_64 0:4.8.5-11.el7 gnutls-devel.x86_64 0:3.3.24-1.el7 libacl-devel.x86_64 0:2.2.51-12.el7 openldap-devel.x86_64 0:2.4.40-13.el7 perl.x86_64 4:5.16.3-291.el7 python-devel.x86_64 0:2.7.5-48.el7 Dependency Installed: cpp.x86_64 0:4.8.5-11.el7 cyrus-sasl.x86_64 0:2.1.26-20.el7_2 cyrus-sasl-devel.x86_64 0:2.1.26-20.el7_2 glibc-devel.x86_64 0:2.17-157.el7_3.1 glibc-headers.x86_64 0:2.17-157.el7_3.1 gmp-devel.x86_64 1:6.0.0-12.el7_1 gnutls-c++.x86_64 0:3.3.24-1.el7 gnutls-dane.x86_64 0:3.3.24-1.el7 kernel-headers.x86_64 0:3.10.0-514.10.2.el7 ldns.x86_64 0:1.6.16-10.el7 libattr-devel.x86_64 0:2.4.46-12.el7 libevent.x86_64 0:2.0.21-4.el7 libmpc.x86_64 0:1.0.1-3.el7 libtasn1-devel.x86_64 0:3.8-3.el7 mpfr.x86_64 0:3.1.1-4.el7 nettle-devel.x86_64 0:2.7.1-8.el7 p11-kit-devel.x86_64 0:0.20.7-3.el7 perl-Carp.noarch 0:1.26-244.el7 perl-Encode.x86_64 0:2.51-7.el7 perl-Exporter.noarch 0:5.68-3.el7 perl-File-Path.noarch 0:2.09-2.el7 perl-File-Temp.noarch 0:0.23.01-3.el7 perl-Filter.x86_64 0:1.49-3.el7 perl-Getopt-Long.noarch 0:2.40-2.el7 perl-HTTP-Tiny.noarch 0:0.033-3.el7 perl-PathTools.x86_64 0:3.40-5.el7 perl-Pod-Escapes.noarch 1:1.04-291.el7 perl-Pod-Perldoc.noarch 0:3.20-4.el7 perl-Pod-Simple.noarch 1:3.28-4.el7 perl-Pod-Usage.noarch 0:1.63-3.el7 perl-Scalar-List-Utils.x86_64 0:1.27-248.el7 perl-Socket.x86_64 0:2.010-4.el7 perl-Storable.x86_64 0:2.45-3.el7 perl-Text-ParseWords.noarch 0:3.29-4.el7 perl-Time-HiRes.x86_64 4:1.9725-3.el7 perl-Time-Local.noarch 0:1.2300-2.el7 perl-constant.noarch 0:1.27-2.el7 perl-libs.x86_64 4:5.16.3-291.el7 perl-macros.x86_64 4:5.16.3-291.el7 perl-parent.noarch 1:0.225-244.el7 perl-podlators.noarch 0:2.5.1-3.el7 perl-threads.x86_64 0:1.87-4.el7 perl-threads-shared.x86_64 0:1.43-6.el7 unbound-libs.x86_64 0:1.4.20-28.el7 zlib-devel.x86_64 0:1.2.7-17.el7 Complete! Please take note that when I downloaded Samba, the latest version was 4.6.2. If you have a problem with compiling the latest version of Samba, try using version 4.6.2. [root@samba-10 samba-4.6.2]# echo "[Unit] Description=Samba PDC After=syslog.target network.target [Service] Type=forking PIDFile=//opt/samba/var/run/samba.pid ExecStart=/opt/samba/sbin/samba -D ExecReload=/usr/bin/kill -HUP $MAINPID ExecStop=/usr/bin/kill $MAINPID [Install] WantedBy=multi-user.target" > /etc/systemd/system/samba.service [root@samba-10 samba-4.6.2]# systemctl enable samba.service Created symlink from /etc/systemd/system/multi-user.target.wants/samba.service to /etc/systemd/system/samba.service. Remove existing /etc/krb5.conf, because the existing configuration prevents us from provisioning a new domain. You could also get an error if you entered a simple password for the Administrator account. Now that Samba is running we can add users and groups, and assign users to groups with samba-tool. For more information on using samba-tool, just run samba-tool --help. We will be using the machine ps-ldap-20.example.com to offer MySQL service with LDAP authentication via Percona PAM. If you’re not familiar with Percona PAM, please have a look at this before moving forward. At this point, our Samba service is running with users, groups and memberships added. We can now query Samba via LDAP ports 389 and 636. We will configure the server to do LDAP lookups when searching for users and groups. This is necessary because we use the name service to validate group membership. 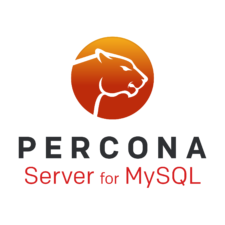 We will then install Percona Server for MySQL and configure our PAM plugin to use nss-pam-ldapd to authenticate to LDAP. Finally, we will test LDAP authentication on Percona Server for MySQL using a regular user and proxy user. As you can see above, this config contains LDAP settings, mapping custom LDAP attributes, and LDAP credentials. The value of objectSid was taken from “DOMAIN SID” that was generated when I created a new domain. So, be sure to use the value of “DOMAIN SID” generated on your end. Otherwise, your LDAP queries will not match any record. However, if you’re authenticating from an existing Windows AD server, you can obtain the value of “DOMAIN SID” by running “Get-ADDomain”. Also, you can take a look at this link to get to know more about other configurations for nslcd.conf. Now that we know nslcd is working, shut it down by running “Ctrl-C”. [root@ps-20 ~]# systemctl start nslcd.service [root@ps-20 ~]# systemctl enable nslcd.service Created symlink from /etc/systemd/system/multi-user.target.wants/nslcd.service to /usr/lib/systemd/system/nslcd.service. Created symlink from /etc/systemd/system/multi-user.target.wants/nslcd.service to /usr/lib/systemd/system/nslcd.service. [root@ps-20 ~]# rpm -Uvh https://www.percona.com/redir/downloads/percona-release/redhat/percona-release-0.1-4.noarch.rpm Retrieving https://www.percona.com/redir/downloads/percona-release/redhat/percona-release-0.1-4.noarch.rpm Preparing... ################################# [100%] Updating / installing... 1:percona-release-0.1-4 ################################# [100%] [root@ps-20 ~]# yum -y install Percona-Server-server-57 * * * [root@ps-20 ~]# mysqld --initialize-insecure --user=mysql [root@ps-20 ~]# systemctl start mysqld.service [root@ps-20 ~]# systemctl enable mysqld.service Created symlink from /etc/systemd/system/mysql.service to /usr/lib/systemd/system/mysqld.service. Created symlink from /etc/systemd/system/multi-user.target.wants/mysqld.service to /usr/lib/systemd/system/mysqld.service. Created symlink from /etc/systemd/system/mysql.service to /usr/lib/systemd/system/mysqld.service. It works! However, if you have 100 support users who have the same MySQL privileges, creating 100 MySQL users is tedious and can be difficult to maintain. If belonging to a group has certain MySQL privileges, setup proxy users instead to map a user’s privilege to its defined group. We will implement this for both dba and support users in the next step. To know more about setting up proxy users, see this article written by Stephane. Let’s try logging in as “jericho” and “paul” and see if they inherit the privileges of their group. As you can see, they did inherit the MySQL privileges of their groups. To be honest, setting up Percona PAM with LDAP can be challenging if you add this functionality with existing infrastructure. But hopefully, by setting this up in a lab environment from scratch, and doing some tests, you’ll be confident enough to incorporate this feature in production environments. If integrating Linux (and many other Unix) with AD, I would seriously recommend to look at using SSSD for it instead of integrating various services (automount, PAM, …) directly to LDAP. SSSD is a very powerful solution and is maturing nicely. To be frank, setup auth pam its easy, and works fine, the thing is, without a dialog dll for windows to be used with Workbench, Toad, etc the functionallity is unuseful.